Here is a review of a comic made with my correspondence course. Check it out! MAIN 8 WEEK COURSE IS UNDERWAY - new full course in the summer. Stay tuned! If you are serious about the full course - please email me capneasyATgmailDOTcom - and I will send you an invite to the private course blog that exists for the course that is just now wrapping up. You can see for yourself what it is all about! Payment plans are available. I will work with you. Take the course. It is worth it! Who the hell am I? I’ve been drawing comics since 1988 – and writing about comics since 1995. I’ve taught drawing at Parsons. My work has been exhibited at the American Academy of Arts and Letters in New York and at the Fumetto comics festival in Switzerland. I have worked as an assistant to fine arts painters such as Francesco Clemente, Dorothea Rockburne and Gary Panter. Many of my paintings are in the collection of Bruno Bischofberger. 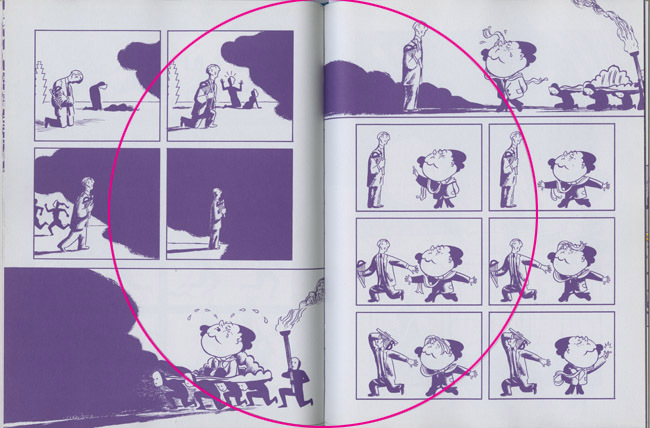 My comic Storeyville is, allegedly, one of Chris Ware’s favorites. I’ve collaborated with Ben Jones. I was in a drawing contest against the French master Blutch – and it was deemed a tie! I have appeared in two volumes of Kramers Ergot. I am working with Dash Shaw on an animation project. I worked for the silkscreen wizard Frank Kozik. I am friends with Yuichi Yokoyama. I got into a yelling match with Brian Chippendale because I’m against photo-referencing. Jaime Hernandez taught me where all the freeways meet in Los Angeles. You will never meet someone as enthusiastic about the form as little ol' me. And I will share that enthusiasm with you and make you a better cartoonist. I'm a great coach. Just ask the girls roller derby team I coach in New Mexico. I live here. Please watch this documentary.